According to Strichart (2009), there are a variety of different strategies that an individual can use to read a particular piece of material, but it is important for an individual to find the best strategy for the type of resource that the individual is using. There is a wide range of different written materials that an individual may have to use in order to study for an exam, interview, or other similar purpose and each type of written material requires a different reading strategy in order to use that resource in the most effective way possible. 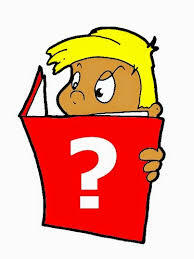 One of the strategies that an individual can use to read and study a variety of different material is known as Read, Examine, Decide, and Write (REDW.) This reading strategy is primarily intended for reading materials that the individual is having difficulty understanding. As a result, REDW is usually used for textbooks or other material that the individual cannot understand even though the individual has attempted to understand the information by reading the material very slowly and carefully. So, the writer can conclude that REDW strategy is a good strategy to use by the students to comprehend the information contained in reading materials. Read the entire paragraph to get an idea of what the paragraph is about. You may find it helpful to whisper the words as you read or to form a picture in your mind of what you are reading. Once you have a general idea of what the paragraph is about. Examine each sentence in the paragraph to identify the important words that tell what the sentence is about. Ignore the words that are not needed to tell what the sentence is about. If you are allowed to, draw a line through the words to be ignored. For each sentence, write a sheet of paper the words that tell what the sentence is about. Belum ada tanggapan untuk "READ, EXAMINE, DECIDE, WRITE (REDW) Strategy IN READING COMPREHENSION"